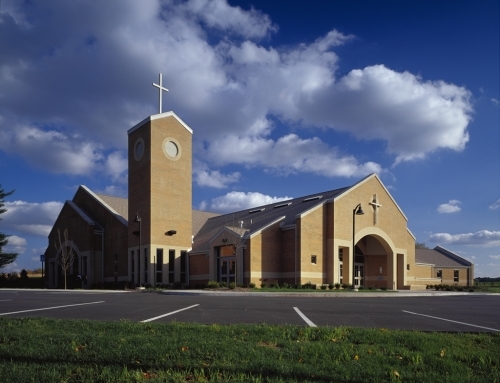 The Holy Family Parish approached RSSC Architecture to help prioritize their Sanctuary and Nave renovations by developing a Master Plan Study. 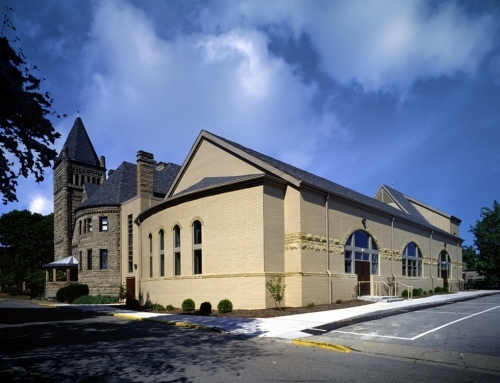 Their large stone church was built in 1905 and was previously renovated in 1967. 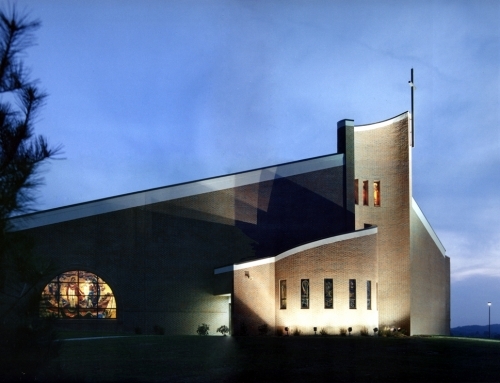 During those renovations, original murals were painted over in an effort to modernize this traditional church. 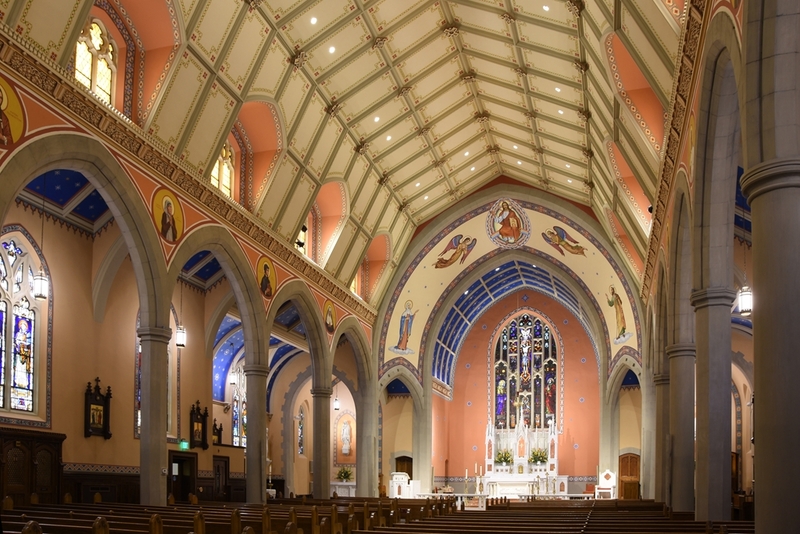 More recently, the parish wished to renovate the interior space and bring it back to its original beauty and historical vernacular. 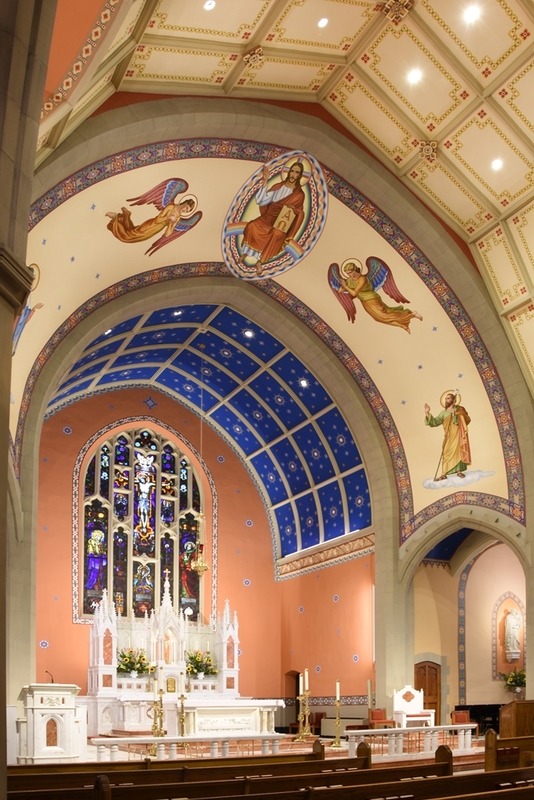 RSSC helped the parish reach their key goal of reestablishing the symbols and traditions of Catholic worship in a completely transformed and beautifully-illuminated church interior. 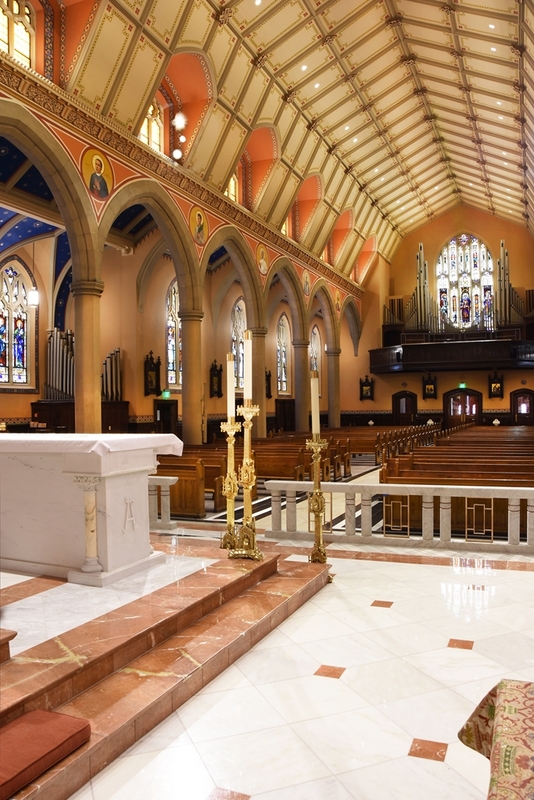 The newly-renovated Sanctuary features many breathtaking elements including a rebuilt marble Altar and Ambo that had been salvaged from another church, as well as extensive and ornate religious artwork, which are all highlighted by a warm, yet brilliant lighting design. 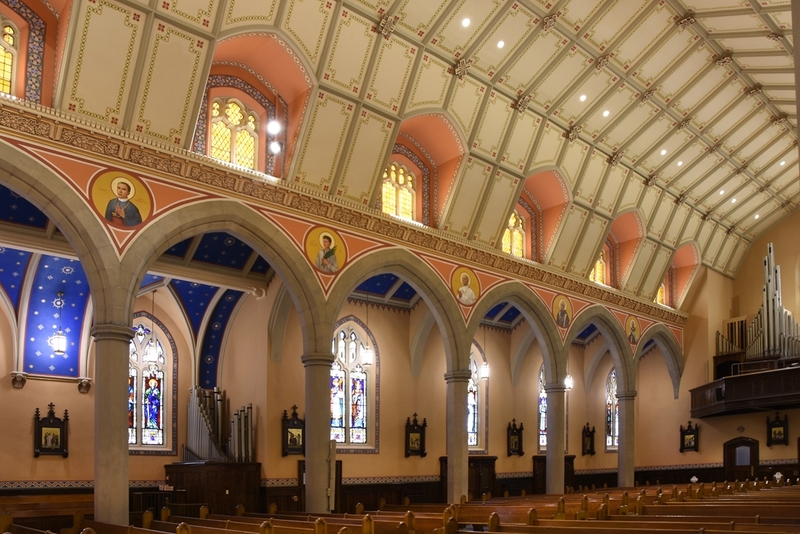 The renovated Nave is also a spectacular sight with restored marble aisles, new flooring under the pews, a new Reconciliation Room and artwork. 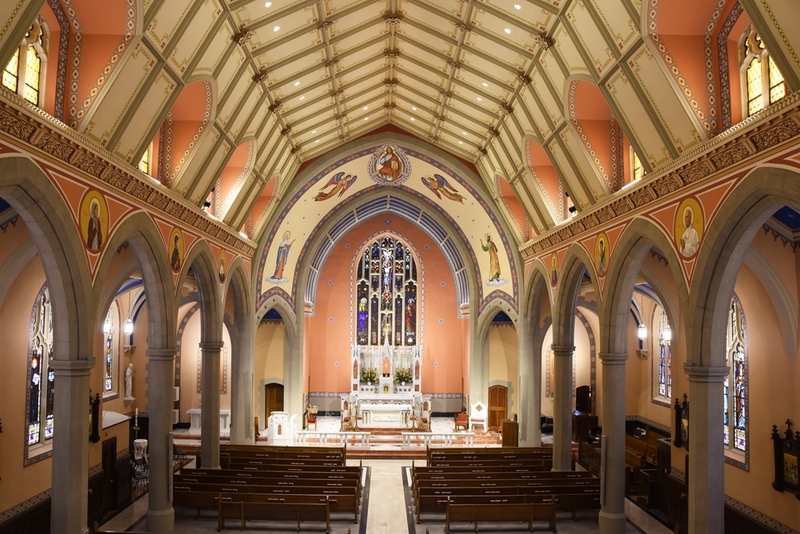 This complex and highly-detailed design involved some unique challenges, including coordination throughout the entire construction process with the general contractor, religious artists, marble fabricators and specialty pew contractors. 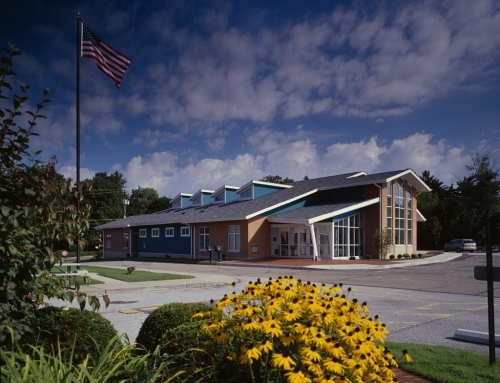 All members of this team had to address many deteriorated sections of subflooring, structure and plaster walls as reconstruction occurred. 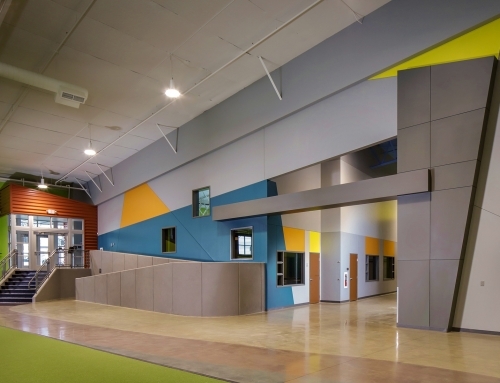 RSSC’s hard work, collaborative process and creative design resulted in a magnificent renovation and interior transformation.